He goes on to list several plants of the nightshade family that were frequently eaten in England at the time. Nightshades were treated similarly to mushrooms, in that people knew that some of them were bad and some of them were good and people would just avoid the bad ones (Feyl R88). 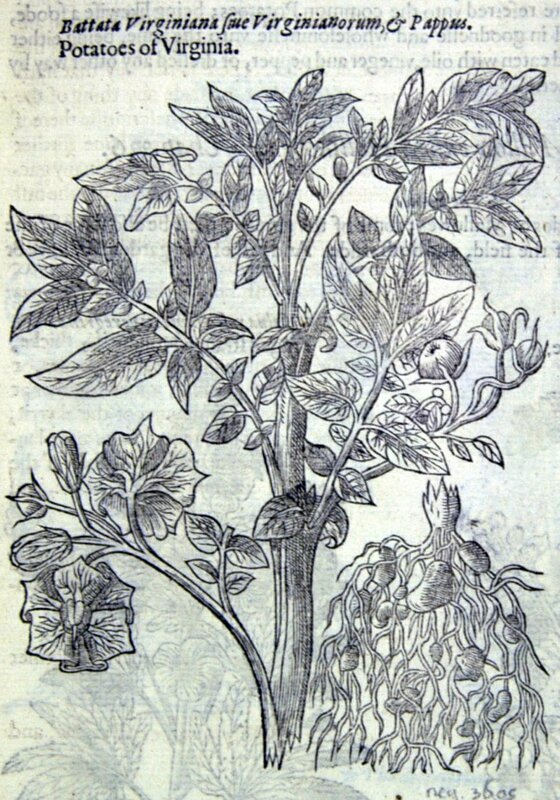 Several nightshade varieties were brought back from the New World in the 16th century. One was the Poms Amoris, also called apple of love, or golden apple; it is the only type of tomato listed in the Herball. Unfortunately they weren’t frequently grown in England, and weren’t even mentioned in English until the 1570s when they were called golden apples in an English translation of Rembert Dodoens’ (Lyte 439). 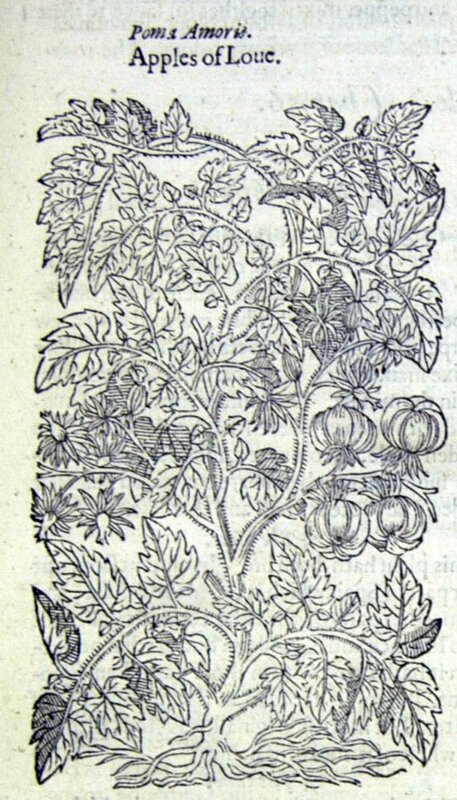 But tomatoes could be obtained, as they were being grown commonly in both Spain and Italy (Gerarde 275). Two preparations are given for the tomato, either boiling it with pepper, salt, and oil, or dicing it and mixing it with vinegar and pepper. It was best used as a sauce spread over meat (275-6). The first preparation would make a basic tomato sauce, though Gerarde doesn’t consider it robust enough and he instead prefers the diced tomatoes served as a sauce on meat. 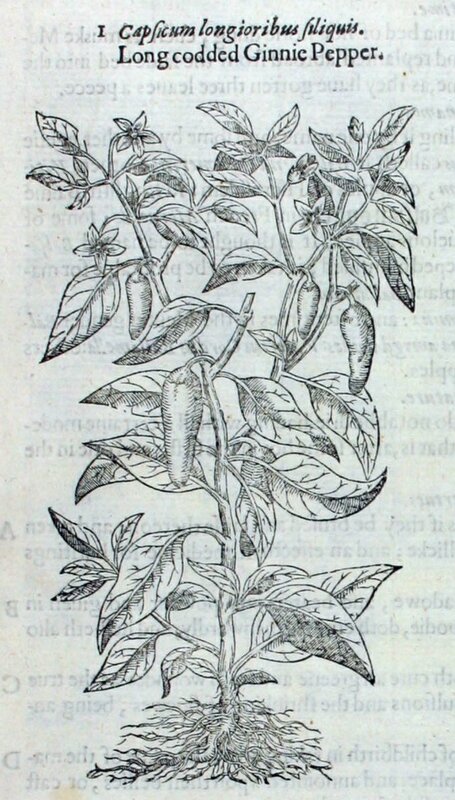 The tomato wasn’t the only nightshade brought over from the new world, the Ginnie or Indian Pepper – what we know as capsicum peppers – were also beginning to be used in England, and they are also first mentioned in the 1570s (Lyte 634). They had two varieties, one a long, finger shaped, pointed variety that grew green and ripened to red and were spicier than black pepper, and one that was small, round, and red and are almost as spicy as the previous kind (Gerarde 292). Although it was considered “hot and drie euen in the fourth degree” (293) it didn’t have the same virtues as black pepper and there was a debate about whether it was actually good for your health or not; however it was used the same as black pepper. 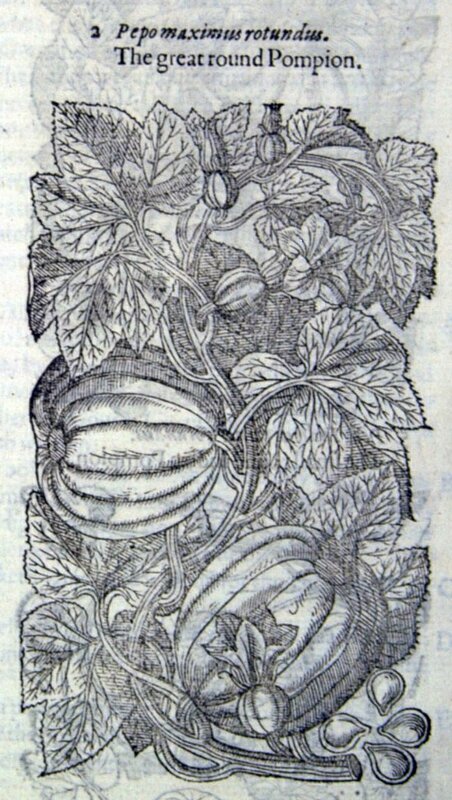 Pompions, what we call squash, were incredibly common in England by the 1590s, frequently being grown in gardens and easily available (775). They are first mentioned in the 1520s (OED) and by the 1590s they are so common that they are considered a rustic food (Gerarde 775). In addition to the seven varieties Gerarde pictures, he describes four of them. The first three are clearly varieties of pumpkin, an oval, greenish grey, mostly smooth one; a round green and white one which looks surprisingly like our common orange pumpkins other than the colour; and a flattened rotund yellow one that wouldn’t be out of place at a local pumpkin patch (772-3). The fourth described is clearly a pattypan squash based on description, colour, and picture (773-4). The others pictured don’t have descriptions, but the two called “Indian Pompion” look remarkably like a tatume and acorn squash respectively (774), while the last, the “Mushroom Squash” looks similar to but not quite the same as a pattypan squash. However, Gerarde mentions that it wasn’t grown in England at the time (775) while the other six were. Three preparations are given for squash. The flesh is “never eaten raw” (ibid.) as it will not be properly digested if you do. He first recommends boiling the cubed flesh in milk and then serving it topped with butter, and this is his preferred preparation. Second, you can fry the flesh in butter; and third you can mix it with diced apples and bake it in the oven (ibid.). Gerarde never mentions spices but the last two of his preparations are so similar to modern preparations that if you’re making them it may not be amiss to add some of the common spices for cooked vegetables of the day such as pepper, cinnamon, and ginger (Dawson f24v). Potatoes are divided into two categories in the Herball. Sisarum Peruvianum he calls “potatoes” but are what we call sweet potatoes (Gerarde 780) while Battata Virginiana he calls “potatoes of Virginia” are what we now call potatoes (781). Potatoes were well known at the time and considered similar to, but tastier than carrots and parsnips (OED). Both varieties were considered tasty and beginning to go into common use, as Gerarde was able to purchase the ones he planted at the Royal Exchange in London (Gerarde 780), meaning that although they were not easy to come by they were available. For both types of potatoes, the most common preparation method is to roast them in the ashes (780-2) but there are also some specific preparations for each type. For sweet potatoes he has several methods of preparation. After roasting he recommends that you pour some wine over them; you can also use them to make a conserve similar to one made with quinces. Alternatively you can boil them with prunes or, after they’ve been roasted, you can dress them with oil, vinegar, and salt (780-1). They also work well raw for carving into bases for confectionary work for the “cunning confectioner or sugar baker” (780). Potatoes on the other hand can be used just like parsnips or can be boiled and eaten with oil, vinegar, and pepper (781-2). 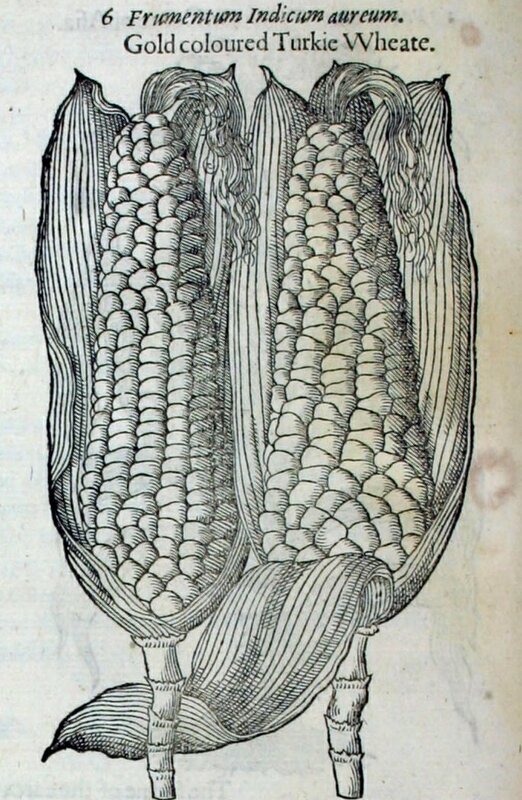 Turkie corn, what we call corn or maize, came in five different colours (white, yellow, gold, red, and a combination of blue and white) and was beginning to spread across Europe, although it was more common in the colonies (77). 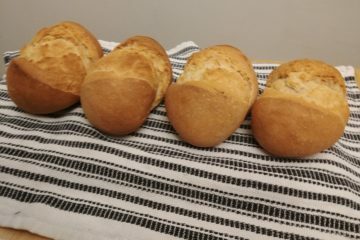 It was used primarily when ground into flour to make bread. However the Europeans had already discovered that it “yeeldeth to the body little or no nourishment” (77) to them, yet Gerarde notes that the Indigenous peoples had no problems with it. This is because the Europeans weren’t preparing it correctly, the Indigenous peoples preparation included Nixtamalization – the cooking of the corn in an alkaline solution – which increases its nutritional value (Jimenez-Lopez 65). Although of the New World foods squash was by far the most common in England, with potatoes gaining popularity quickly, tomatoes and peppers were not unheard of, and maize, though not as popular in England, was becoming very popular in continental Europe. 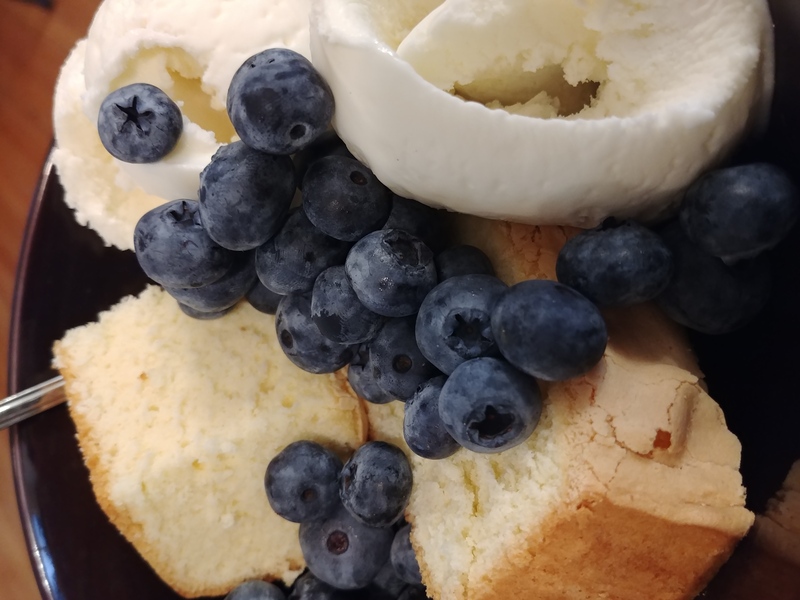 So the next time someone says, “but they didn’t eat that” let them know that the 16th century was a time of great change in English diets and that New World foods were rapidly gaining in popularity in Europe. Dawson, Thomas. The good huswifes Jewell. London: Edward White, 1596. Dugdale, William. Origines juridiciales. Oxford: F. and T. Warren, 1666. EEBO. <http://quod.lib.umich.edu/cgi/t/text/text-idx?c=eebo;idno=A36799.0001.001>. Feyl, Anita. Das Kochbuch Meister Eberhards. Ed. Thomas Gloning. Trans. Volker Bach. Freiburg im Breisgau, 1963. Translated Dissertation. 16 March 2017. <www.florilegium.org/files/FOOD-MANUSCRIPTS/Eberhard-art.html>. Gerarde, John. The Herball or Generall Historie of Plantes. London: John Norton, 1597. <http://caliban.mpipz.mpg.de/gerarde/index.html>. Grivetti, Louis and Howard-Yana Shapiro. Chocolate: history, culture, and heritage. Hoboken, N.J.: John Wiley, 2009. Book. Jimenez-Lopez, Jose C. Agriculture Issues and Policies : Maize: Cultivation, Uses and Health Benefits. New York: Nova, 2012. Lyte, Henrie. 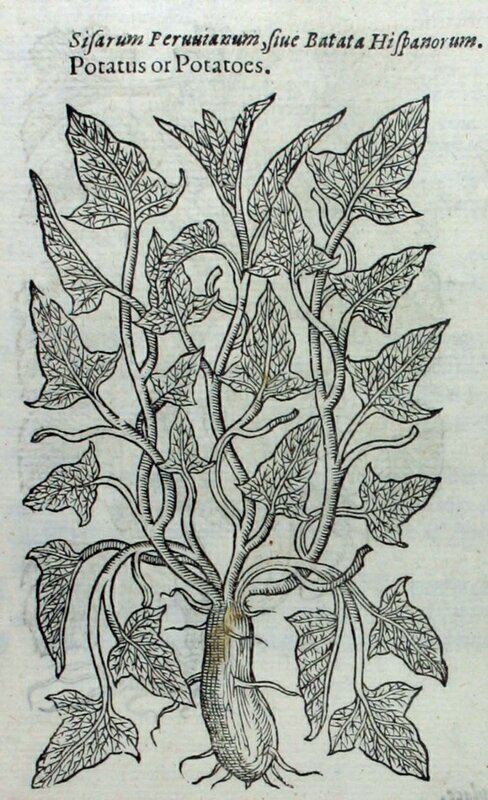 A Nievve Herball, or Historie of Plantes. London: Gerard Dewes, 1578. Facsimile. Rickman, Melissa L. Making the Herball: John Gerard and the Fashioning of an Elizabethan Herbarist. Doctoral dissertation. Ann Arbor, MI: UMI Dissertation Publishing, 2011. UMI 3469607. 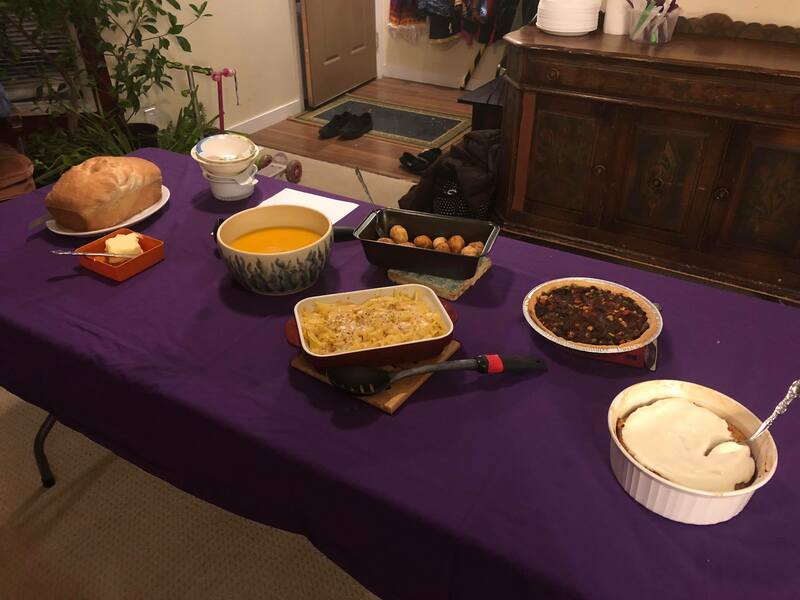 My ancestors were from Devon back to the 1500s, and I was wondering what foods they ate. I found this post very interesting… thank you!